“Hair care” isn’t in the vocabulary of most men. This is why when it comes to shampoos the majority of them simply end up using whatever is available in the store. However, if you’re on this page, then you already understand the importance of hair care. You already know that it has a huge impact on your appearance and, by extension, your self-esteem. Most importantly, you already know that hair care begins in the shower with the right shampoo and not with the right gel or pomade. An excellent and competitively priced moisturizing shampoo based around argan oil. A superb anti-aging and anti-thinning shampoo with an incredible success rate. A very strong minty shampoo specifically designed for active men who spend a lot of time outdoors. Once you’ve realized this, all you need to do is find the best shampoo for men. Even though there aren’t as many men’s shampoos in the market as there are for women, there’s still enough variety out there to confuse you. What’s worse is that you’ll have to figure out your hair type before you can even start considering shampoos. Well, you don’t have to spend time analyzing various ingredients of multiple shampoos and whether they suit your hair type or not. We’ve done it all for you by reviewing the very best options for different hair types. You can use the following navigation panel to skip to the review most relevant to your hair type. Still, we will advise going through the review as more than a single shampoo may fit your requirements. How Are Shampoos For Men Different From Other Types of Shampoos? If you’re like most men, you’ve had the thought: “why bother”. Why do you really need shampoos specifically designed for men? What’s the big difference anyway? There’s one very crucial difference in male and female heads – sebaceous glands. Physiologically, men have more of these glands than women. While there will always be exceptions, this means men tend to have generally oilier hair. 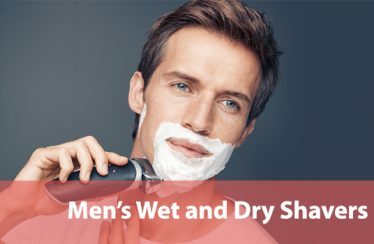 This is why men’s hairs need less conditioning than women and, in contrast, why men’s shampoos tend to focus more on cleansing than moisturizing. There are a few minor differences as well. For instance, in the majority of cases, men tend to sweat more than women. Further, their sweat tends to be more odorous. This is another reason why shampoos for men tend to be stronger than shampoos for women. Finally, men’s and women’s shampoos differ greatly when it comes to fragrances. Women’s shampoos have botanical and floral scents. Since these don’t appeal to men, their shampoos have other fragrances. In fact, the majority of men’s shampoos smell minty. We should also mention that manufacturers tend to focus on convenience much more when it comes to shampoos for men. 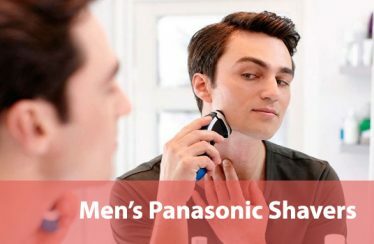 This is why you’ll see many more 2 in 1 and 3 in 1 shampoos for men in the market than for women. Every man doesn’t need to give his hair special treatment. Some are born with hair that is very easy to maintain. These men need a basic shampoo that is good at cleansing without damaging their hair and scalp. Krieger + Söhne’s Man Series shampoo is perfect from that perspective. It is a shampoo that is excellent at cleansing hair and scalp. It has the ability to remove excess oils from even extra-greasy and grimy hair without causing any damage. The most important bit, though, is that it suits nearly all types of hair. The only exception is dry hair. This is a strong shampoo that may leave dry hair stripped of whatever little oil it does have. The shampoo is based around tea tree oil and peppermint. Tea tree oil is a great natural anti-fungal and antibacterial agent which means that this shampoo can help prevent dandruff. However, this shampoo is only good for preventing dandruff to a certain extent. If you have dandruff, then it would be better for you to go for an anti-dandruff shampoo. Peppermint in this shampoo causes it to leave a very refreshing tingle in your scalp along with the much coveted cooling sensation. This shampoo’s scent is also predominantly minty but it does have a minor tea tree note. A shampoo that you’ll be using every day cannot be too expensive or you’ll burn a hole in your pocket very fast. This shampoo is priced affordably and should be within reach of most people. 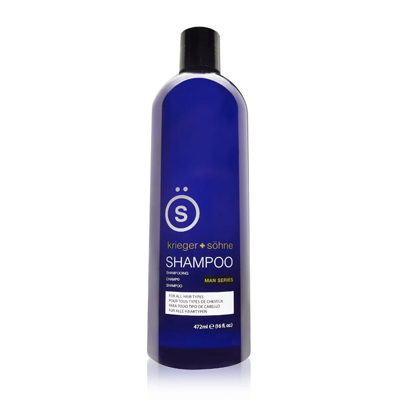 While we’re reviewing the 16 ounce bottle, this shampoo is available in four different sizes. The other three are 8 ounces, 32 ounces, and 320 ounces. Further, this shampoo lathers up really well. In fact, a little bit of it goes a long way which means that it can last a long time. This makes it even more affordable. All that lather is a result of sulfates, though. Sulfates, unfortunately, can end up drying your hair a bit too much if you’re not careful. This is why we don’t recommend this shampoo for men with extra dry or frizzy hair. Who’s it for: If you have normal hair and need an affordable shampoo that you can use daily, get this one. 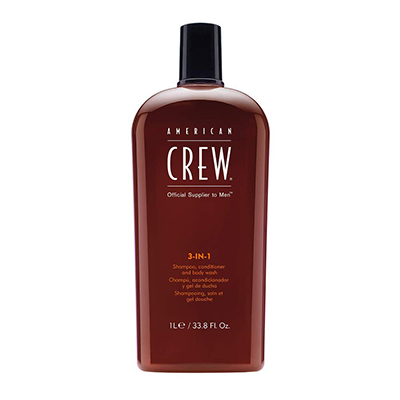 This shampoo from American Crew is another superb option for men looking for a daily use shampoo. This is a 3 in 1 product which means that it can be used as a shampoo, a conditioner, and body wash.
2 in 1 and 3 in 1 products are great because they make life very convenient. For example, if you travel a lot or go to the gym regularly then these products will allow you to just carry one bottle instead of 2 or 3 different ones. The biggest thing about this shampoo is that it comes from the trusted brand American Crew. It also boasts of that unique, distinct, and very popular American Crew scent. Its formula revolves around three key ingredients – sage leaf extract, dimethicone, and citric acid. Sage leaf extract is a softening agent that works on hair and skin alike. Dimethicone’s primary purpose is to detangle the hair and hydrate hair and skin both. Citric acid in the formula makes this product invigorating and revitalizing. The thing with combo products is that since they’re to be used on the body and hair both, it means that they’ll be consumed very quickly. This is why they need to be very affordable. This 3 in 1 product from American Crew is incredibly pocket-friendly. The problem with this product is that it may be a bit too strong for some people. It can easily leave the skin and hair too dry. This is due to the fact that it contains sulfates. The positive side of sulfates is that they help create lather, which applies to this product too. There are some concerns about counterfeits of this product doing rounds and this is something that you should keep in mind while buying this product. You should also know that this bottle doesn’t come with a pump, something that can be a little inconvenient. Who’s it for: If you want the absolute convenience of having one bottle as shampoo, conditioner, and body wash, then this American Crew 3 in 1 is perfect for you. Every man can’t use generic shampoos. For example, if you have extra dry or frizzy hair, then a standard daily use shampoo will strip it of whatever little moisture it does have. If you keep stripping dry hair of moisture regularly, sooner or later, it will start showing in the form of limp, thinning, and damaged hair. This is why men with extra dry or frizzy hair need to get a shampoo that can moisturize and volumize their hair. 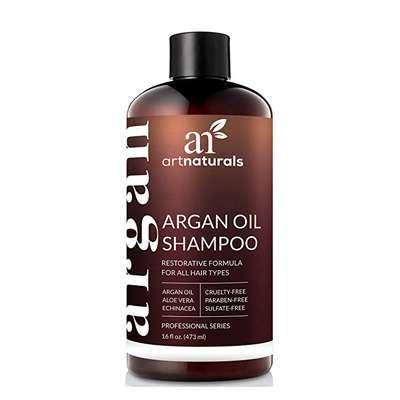 This argan oil shampoo from ArtNaturals is specifically known for its moisturizing qualities. Argan oil is a natural moisturizer that is not only excellent for dry and frizzy hair but also flaky and itchy scalp. This is why this shampoo is so good for men and even women with extra dry hair. At the same time, though, this shampoo may not be right for people with oily or even normal hair. If you have such hair and use this shampoo, you may find your hair a bit too oily or even greasy. This shampoo is completely organic and vegan. This means that it is free of artificial substances that can be harmful to your hair such as phthalates, sulfates, and parabens. This also means that this shampoo is gentle. Its gentleness makes this shampoo fit for even thinning and damaged hair. It is fit for color treated hair as well. further, as this shampoo is free from any kind of harshness, it will leave your hair extra soft after every wash. It will also leave a very interesting, clean, and slightly rosy scent in your hair. Don’t worry, though. This shampoo has a fairly light smell i.e. people standing near you won’t feel smothered by your shampoo smell. Despite its uniqueness or probably because of it, most people seem to like it. The good bit is that, for an organic shampoo, it lathers quite well. This is especially surprising since this shampoo has a very watery and thin consistency. Again, for an organic shampoo, it is fairly affordable. What adds to the entire mix is that the company offers a 100% satisfaction or money back guarantee. This definitely makes it worth a try. Who’s it for: If you have extra dry and frizzy hair with or without some damage and want an affordable organic option, get this argan oil shampoo. 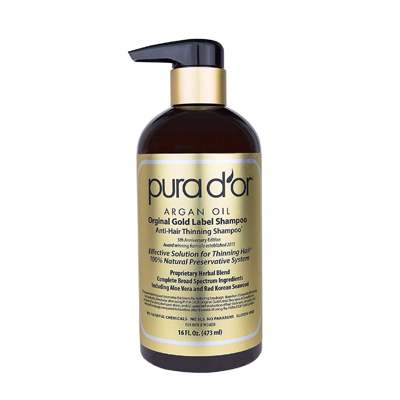 PURA D’OR is easily one of the most popular brands when it comes to shampoos for thinning or damaged hair. Thinning is usually a precursor for some form of damage. What precedes thinning, though, is poor nutrition. Therefore, for such hair, the best option is to get a shampoo with the right ingredients. PURA D’OR has two different shampoos for this type of hair and both of them have seen tremendous success. The one we’re reviewing here is the Original Gold Label which is all natural. The other one, called Hair Thinning Therapy Shampoo for Prevention, is also a good option if you’re in the early stages of hair thinning. That one has a blue label and contains artificial preservatives. This shampoo has all the nutrition that your hair will ever need. It contains 17 different ingredients but the foremost are biotin, argan oil, and niacin. All three provide crucial nutrients for your hair. Further, this shampoo’s formula includes other ingredients that offer up natural detoxification agents and antioxidants. The most important thing is that this shampoo does what it claims to do. Most of its users have praised it not only for adding volume and bounce to very thin hair but also encouraging new hair growth. Being completely organic, this shampoo is free of parabens and sulfates. Because of this, it is quite mild. As a result, it can be used by men with color or chemically treated hair as well. Don’t let its mildness make you think that you’ll have to make peace with insufficient lather, however. It lathers surprisingly well and will even make your scalp tingle. It has a pleasant herbal citrus smell too. While incredibly successful, some users do say that this shampoo didn’t work for them. This could be due to any number of reasons, not least of which is the severity of their problem. The pump on the bottle may give you some trouble as well but it is a minor inconvenience for the kind of benefits this shampoo provides. Who’s it for: If you think your hair lacks sufficient nutrition and want a natural way of delivering that nourishment, get this very popular shampoo. Hair loss is far too common in men. The main reason, of course, is male pattern baldness caused by excess testosterone and pure genetics. While Minoxidil is the nuclear option for the severest hair loss conditions, if your problem hasn’t progressed that far, Lipogaine may be able to help you. The Lipogaine Big 5 Purple shampoo is well-known for its ability to slow down hair loss, encourage hair growth, and even thicken thinning hair. This reversal may be slow but it happens for the majority of users. If you can wait for at least two months, this shampoo will deliver results in the form of baby hairs visible in previously barren spots. However, this shampoo causes hair loss in the initial phases, which is something that may alarm you. You’ll have to persevere through this because it is important for new, healthier hair to grow. 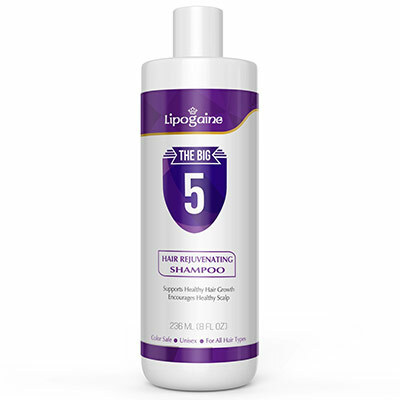 The formula inside Lipogaine Big 5 Purple shampoo comprises aloe vera, argan oil, castor oil, and keratin along with a number of vitamins and minerals. Between these and other ingredients, this shampoo manages to strengthen hair, hydrate it, and even add shine to it. This shampoo has a white, creamy consistency and smells wonderful. Further, it lathers well enough for you to not use too much in every wash. Because you don’t have to use a lot of it in every wash, it lasts longer. This is important because it is a bit too expensive. While a few of you may not see positive results with this shampoo, you can be sure that it won’t harm your hair. This is so because it doesn’t contain sulfates or parabens. It’s also worth noting that some men may even find it a bit too strong for their hair type even though it can be used by men and women with all hair types. 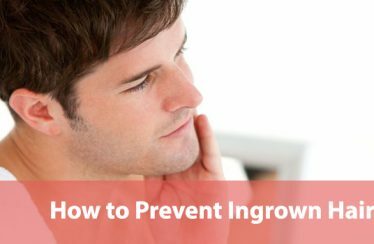 Who’s it for: If you’ve realized that your hair is thinning and are experiencing hair loss too, then you should get Lipogaine before you give Minoxidil a try. 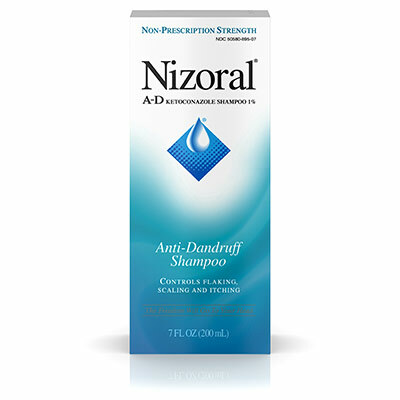 Nizoral A-D Anti-Dandruff Shampoo is an incredibly popular anti-dandruff shampoo purely because it is so successful. This shampoo hasn’t only been able to deal with mild dandruff problems but also severe cases where dandruff is a result of diseases like seborrheic dermatitis. This shampoo is based around 1% concentration of ketoconazole. Ketoconazole is a substance that is particularly effective against fungal infections on the scalp. This shampoo is not only useful against dandruff but also equally effective against excessively dry, flaky, itchy, or scaly scalps. Many medicated anti-dandruff shampoos contain larger concentrations of ketoconazole but this shampoo proves that the majority of dandruff problems can be cured with lower concentrations. This is important because it means that this shampoo isn’t too strong or harsh. This shampoo’s mild nature removes the risk of any side effects and makes it suitable for even men with color or chemically treated hair. In fact, this shampoo is so gentle that it leaves hair soft after every wash. All this is true even though this shampoo contains sulfates. The presence of sulfates, though, means that people with already dry hair may need to use a conditioner afterward. You won’t have to give up on lather for this mildness, though. This shampoo can produce a decent amount of lather. It also has a medicinal smell. Most people are fine with its smell but some of you may not like it. Even if you don’t like its smell, you wouldn’t have to give up on its anti-dandruff benefits. The recommended frequency of use is only twice a day so you can use other shampoos with more desirable scents on other days. This shampoo, unfortunately, is costly. While its price will fluctuate a little, you’ll still end up paying about $5 per ounce. The saving grace is that you don’t need to use a lot of this shampoo in every wash since a little goes a long way. This means that the bottle will stay with you for a while. We should also mention that your purchase will be protected by an 8-week money back guarantee from the company. Who’s it for: If you’re trying to deal with dandruff and don’t want to resort to medicated concentrations right away, get this hugely successful shampoo from Nizoral. The reason why most shampoos give men with sensitive skin and scalp a lot of trouble is that they contain substances like sulfates. Further, when stronger shampoos are used on sensitive scalps, the result is often heavy dandruff. This is why gentler, more natural shampoos are recommended to such men. However, what can you do if you have sensitive skin and scalp and your use of the usual shampoos has caused heavy dandruff? You get the Sage Shampoo from Maple Holistics. This shampoo’s formula is not only mild but also very good against dandruff problems. This combination makes it perfect for sensitive scalps with flakes and excessive dryness. 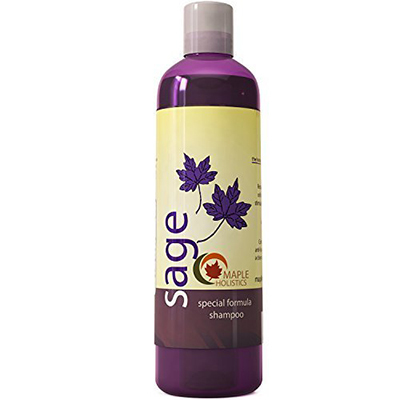 This Sage shampoo begins its work through its clarifying clear scalp therapy where it frees the scalp from all kinds of buildup including flakes, scales, dandruff, and even previously used hair products. It does all this gently and, therefore, also helps relieve irritation and itchiness. Even though the company presents it as a heavy dandruff shampoo, it is complete in our opinion. For example, it can help against hair loss, dry hair, and even thinning or brittle hair. It does all this through its unique mix of nutrients. It contains DHT blocking vitamins which prevent excess testosterone from causing hair loss. The sage in the formula, along with rosemary, verbenone, and tea tree oil, promote follicular growth by providing the right nutrients. It moisturizes extra dry or frizzy hair because it has Moroccan argan oil, jojoba, and peach kernel in its formula. Further, if you have weak or brittle hair, this shampoo contains keratin to strengthen it. With such a rounded formula, it is not a surprise that this shampoo is good for all hair types. Even men with color treated hair can enjoy the benefits of this shampoo. The downside of all this is that this shampoo may be a bit too mild to deal with severe problems. The icing on the cake, though, is this shampoo’s smell. It has an incredibly pleasant, woody, and earthy smell that is unique in its own right. The biggest problem with this shampoo is that it is a bit on the expensive side but there is a 100% money-back guarantee that will allow you to give it a good try without worries. In terms of design, it would’ve been nice if the bottle had come with a pump but it is a minor enough problem to be ignored. Who’s it for: Get this shampoo if you have sensitive skin and scalp. Get it especially if you have dandruff as well. Try it anyway because this is one of the most complete shampoos out there. 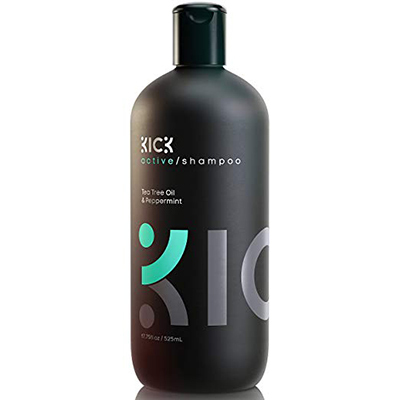 It isn’t often that you find a strong organic shampoo but that is exactly what this shampoo from Kick offers. According to the company, their shampoo is specifically designed for active men and they aren’t really exaggerating. This is a very potent shampoo that is built around tea tree oil and peppermint. It has the ability to cleanse the hair and scalp even after you have a particularly sweaty and active day outdoors. Despite its potency, however, this shampoo is suitable for all hair types except very dry hair. The reason for this is that its strength may strip very dry hair of what little moisture it possesses. A good workaround to this problem is to use a conditioner afterward. So long as you don’t have extra dry hair, you’ll be able to use it even if you have color and chemically treated hair. This is mainly because it is free from all artificial substances such as sulfates and parabens. Don’t let the absence of sulfates make you think that this shampoo won’t produce enough lather, though. In fact, this shampoo lathers very well and just a small amount will be enough for most men. Additionally, this shampoo also has crucial anti-dandruff and anti-thinning properties. Further, it can even bring relief from itchy scalp since it contains a number of herbal and natural ingredients such as eucalyptus, rosemary, and aloe vera. Also, this mix of natural ingredients means this shampoo will leave your hair light and soft after a wash. Notably, the wash itself will be quite invigorating since this shampoo makes the scalp tingle. After wash, your hair will smell all minty and fresh too. The smell is quite nice but some people may find it a bit too strong. This a premium quality shampoo and this reflects on its label. It is quite costly but since it lasts a long time, it is well worth a try. Who’s it for: If you’re an active man who spends a lot of time outdoors sweating, then this shampoo is perfect for you. Active ingredients: Tea tree leaf, peppermint, eucalyptus, rosemary, aloe vera, etc. 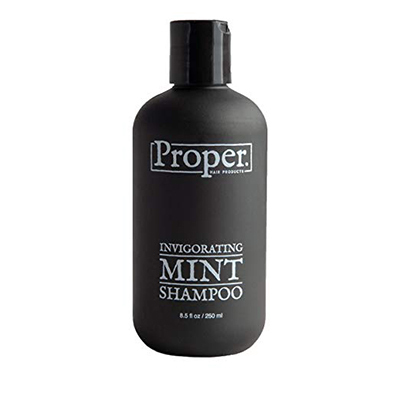 Proper Hair Products presents their Invigorating Mint Shampoo as a salon grade product. Like most men’s shampoos, this one is also built around tea tree oil and peppermint. Between the two, it acts as a very good invigorating shampoo. You’ll find that it makes the scalp tingle very pleasantly. Further, after wash, your hair will smell all minty fresh. At the same time, the mint scent isn’t very strong. This means that it isn’t overpowering to the people around you. It will even leave your hair soft and very manageable after every wash. This extra manageability comes in very handy if you’re a guy who likes to style his hair often. However, this shampoo isn’t all about style and tingle. It has other great qualities too. For instance, it is quite an effective cleanser. It will remove all buildup from your scalp, regardless of whether it is dry skin, flakes, grit, grime, grease, or previously used products. This means that this shampoo helps prevent dandruff problems as well as relieve itchy and irritated scalps. In fact, since it clears up detritus from hair follicles, it may be able to help with hair thinning and loss too. A really rare quality that this shampoo possesses is that it protects hair against ultraviolet damage. You won’t find many men’s shampoos with this feature, which makes this shampoo unique to a certain extent. The shampoo isn’t made for any specific hair type and can be used for all including color and chemically treated hair. This is despite the fact that it contains sulfates. The exception here is dry hair. Deep cleansing hair products aren’t suitable for dry hair since they remove all oils from the hair. Therefore, if you intend to use it on your dry hair, have a conditioner handy after wash. Being a salon grade shampoo, it is quite expensive but that is only if you compare it to consumer products. On the other hand, if you compare it to other salon-style products, it won’t seem so expensive. Who’s it for: Get this shampoo if you want ultraviolet protection and like to style your hair often. Men’s beards are as important to them as their head hair. In fact, some will say that beards attract a lot more attention than the hair on the head. Even if they’re equally important, you can’t treat them the same. If you just compare your beard hair with your head hair, you’ll notice that they’re different. This doesn’t mean that you can’t use your head shampoo on your beard. It just means that if you use a specialized beard shampoo, you’ll see better results. 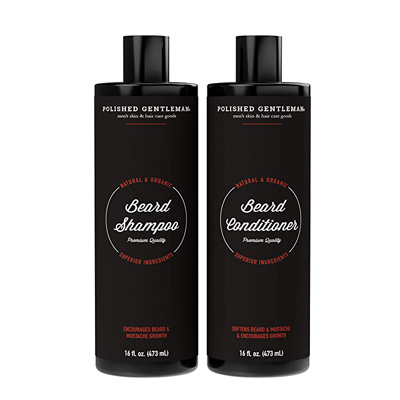 This product from Polished Gentlemen fits the bill perfectly. It contains two bottles, one shampoo, and one conditioner. Its formula is based around a series of ingredients including raw manuka honey, biotin, and argan oil along with extracts from eucalyptus, tea tree, and rosemary. Each of these ingredients brings with it its own qualities making this shampoo and conditioner good at combating infections, providing nutrition, stimulating hair follicles, moisturizing the beard, and even countering dandruff and dry skin. The end result is that, after every wash, you’ll find your beard soft and with a neutral smell reminiscent of eucalyptus and something citrusy. Even with its completely organic formulation, it can be a bit too strong for some people. This is why the company provides a conditioner with the shampoo. Without that conditioner, you’ll most probably find your beard and skin to be a bit too dry. This beard shampoo-conditioner combo’s completely natural formulation is also the reason why it has a very thin and watery consistency. However, that doesn’t stop it from producing the kind of lather that will satisfy you. In terms of negatives, there aren’t many. The foremost is its cost. It is a bit on the expensive side, especially since most men just use their shampoos on their beards. However, the extra benefits it provides do make it worthwhile. 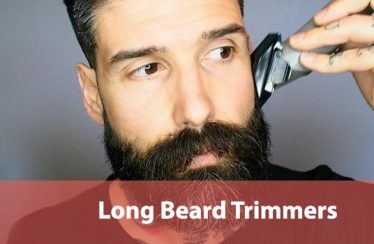 You shouldn’t rely on it to help you grow more beard hair though. That company claim is, as of yet, unproven. While some users say it has thickened their beard, others say otherwise. Who’s it for: If you understand the difference between your beard hair and your head hair, get this beard shampoo-conditioner set. Are Blunt Bangs Right for Me?